In the Old Testament story of Jacob and Esau, Esau sold his birthright, as the oldest brother, to Jacob for “a pottage of red lentils.” As the story goes, Jacob dwelt in the tents with the women while Esau had the smell of the field and hunt. 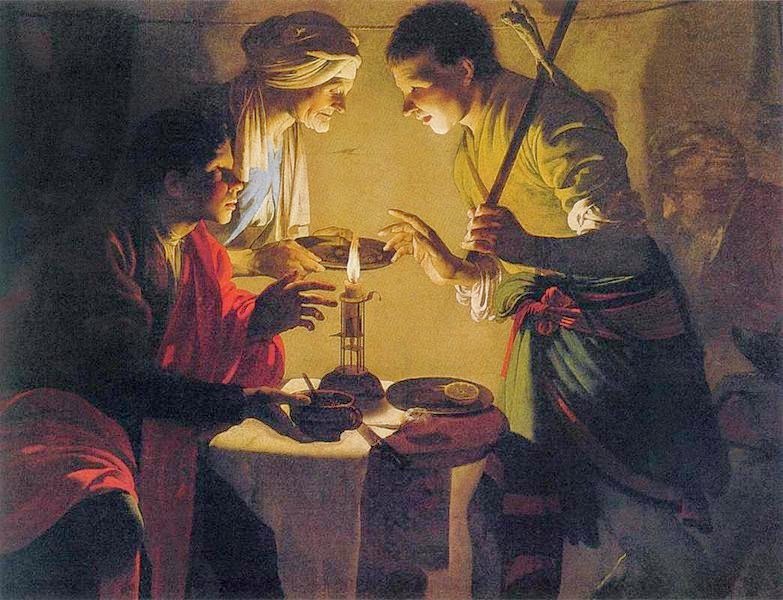 Famished from a hunt, Esau sold his birthright to Jacob for the stew of lentils (Gen. 25:27-34.) The account is about 4,000 years old. Peas, lentils, and chickpeas were used for food as early as 8,000 years ago during the Neolithic Age, and probably earlier, in Central Asia and the southern and eastern Mediterranean basin. The Neolithic age is the spread of time when our ancestors moved from being hunters and gatherers into cultivated agriculture and husbandry. These ancient legumes: peas, lentils, and chickpeas, aren’t to be confused with Phaseolus vulgaris which is Latin for the common bean. Actually, phaseolus is the Latin for small boat which the open pod resembles. The kidney beans we eat today come from Mesoamerica or what is now Central America and Peru, first appearing about 7,000 years ago. Along with tomatoes they were the culinary gifts of the New World to the Old World by way of Columbus and his successors. Ironically, of the three ancients, some peas (Pisum sativum) have come down to us as sugar snaps which developed by serendipitously crossing peas with Chinese snow peas in 1979 at a horticultural research facility in Twin Falls, Idaho. 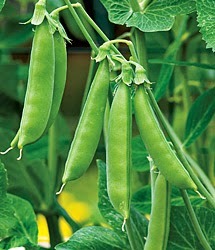 Along with snow peas, the French call sugar snaps mange tout, “eat it all,” meaning that the pod as well as the peas is eaten. They are one of the premier delights of backyard gardening and the first in our quadriplex of backyard delights. Grown in the backyard or in a tub on a deck, they’re sweet, crisp, and munchy, unlike the starchy and flaccid substitutes found in grocery stores. By the way, Pisum sativum is Latin for a cultivated pea which implies that wild peas were domesticated during the Neolithic period. Also, it further implies that they eaten as wild peas long before their domestication. They were probably eaten dry, ground into a pea meal. The rest of our quadriplex is now a triplex, not of peas but of bean, our old Latin friend, the Phaseolus vulgaris, the common bean, only ours aren’t so common. The first that comes to mind is La Comtesse de Chambord, a rare, small, thin rice bean. About four inches long, it’s sweet when eaten raw and immature much like snow peas and sugar snaps and is used in salads. It’s tasty when blanched or sautéed. Also, when mature and dried, the bean can be cooked much like rice only with a richer and nuttier flavor. Since it’s not produced commercially, it can only be found in the backyard. They’re easy to grow and are bountiful producers. After La Comtesse de Chambord, the Beurre de Rocquencourt takes its place as the premier wax bean. Although its forbearers haled from Central America, it was introduced into France from Algeria about 1840, and as one can tell by its name, it melts in the mouth. The pods are straight, slim, stringless, and crisp as well as being fine-flavored. In short, they are a chef’s delight, and as with La Comtesse de Chambord they’re rare and unavailable in the grocery stores. 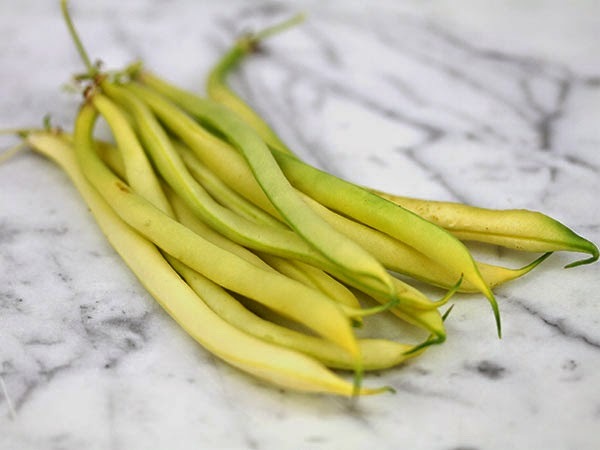 There is little point in growing vegetables that can be found in the supermarket, especially when these rare beans are easy to grow and taste better. 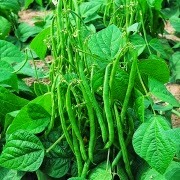 Finally, there is the haricot vert which is French for green bean. The interesting thing about the word haricot is that it may come from Aztec ayacotli indicating the origins of the bean. 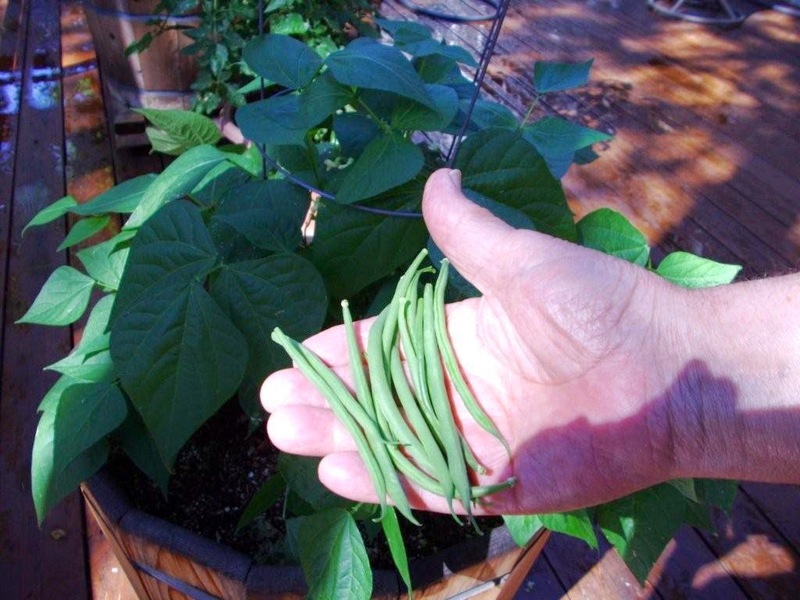 The French green bean or haricot vert is longer, slimmer, and better tasting than the ordinary American green bean, something like 7 inches long. Now and then, they can be found in upscale grocery stores, but they’re never as good as home-grown. My favorite is the Maxibel. For an investment of about ten dollars, gardeners can have the world at their doors, horticulturally and culinarily.